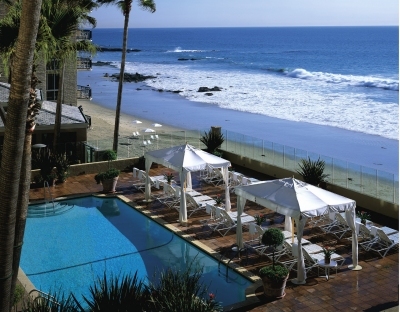 Get out of the cold and begin the new year at the Surf and Sand Resort in Laguna Beach, California. This luxurious hotel is celebrating its 60th anniversary by offering guests specials on rooms, spa treatments, and offerings at the on-site fine-dining restaurant, Splashes. Available from January 1, 2008 – March 31, 2008. 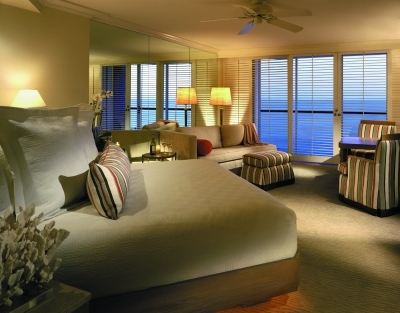 Overnight Deluxe accommodations for two in an ocean-view room for $194.80 per night (limit two nights, Monday-Thursday). Spa treatment (a $60 value) at the Aquaterra Spa (includes choice of 25-minute head/neck massage or 25-minute Timeless Facial, complete with special gift upon departure (Monday-Thursday). Special Flights and Bites three-course chef’s tasting menu and wine pairing for $60 (available Mondays and Wednesdays) at Splashes Restaurant. Additionally, guests who book for February 2008 will also be treated to a special romantic turndown amenity on one night of their stay – in the form of a special Chocolate and Port tasting, which they can enjoy indoors or even out on their room’s private balcony. Visit SurfAndSandResort.com or call 888.869.9299 for more information or to book the package.